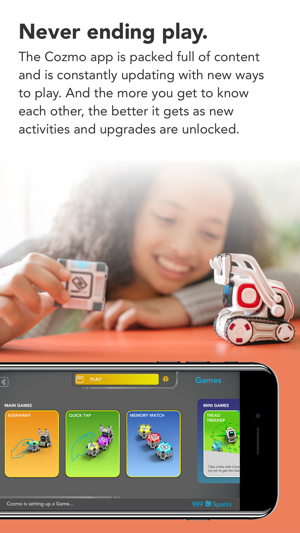 Cozmo robot required to play. Available at Anki.com. ©2018 Anki, Inc. All rights reserved. 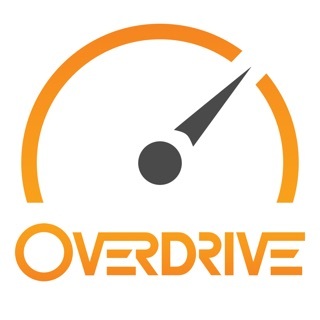 Anki, Cozmo, and the Anki and Cozmo logos are registered trademarks of Anki, Inc. 55 2nd Street, 15th Floor, San Francisco, CA 94105, USA. 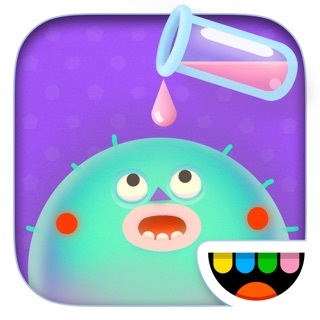 Robo Game Show - Think you're a whiz? Take Cozmo's quiz. 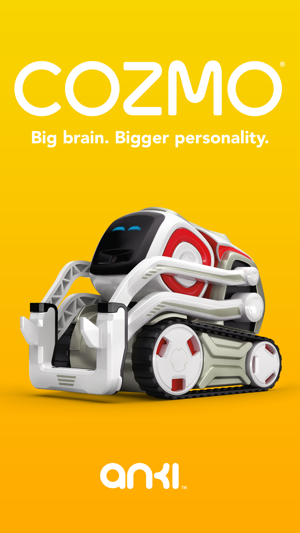 Cozmo is the host with the most in this new Mini Game. Roll to the Goal - Tilt, twirl, shimmy and shake your Cozmo to navigate the maze on his face. I have had Cozmo for about a year, and I have gotten some ideas for Cozmo. 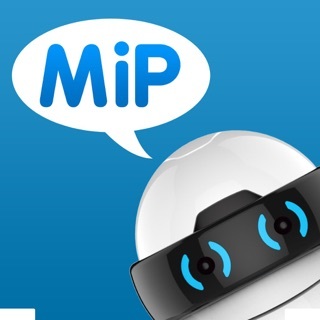 First, what if you could have Cozmo sing songs from your music library and dance to them? Second, could you possibly make it to where you can have a conversation with Cozmo? And finally, what if you have like two modes to choose from? Like play mode and assistant mode? In play mode, Cozmo will do all the stuff he can do now. And in assistant mode, Cozmo can tell you where your phone is, tells you when someone calls, texts, or facetimes you, order things online, etc. 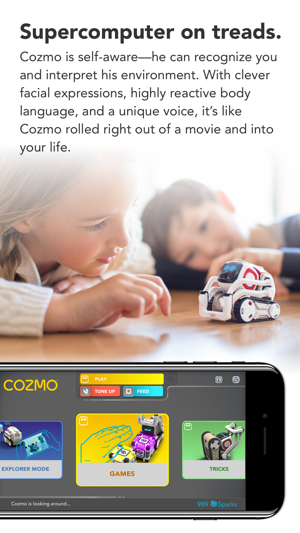 If you had it like that, parents and children can use Cozmo. Or, what if you had separate accounts set with either play or assistant mode? I hope you consider at least one of my suggestions. Cozmo himself is awesome, but what happened to the daily quests, or just getting to play with him? 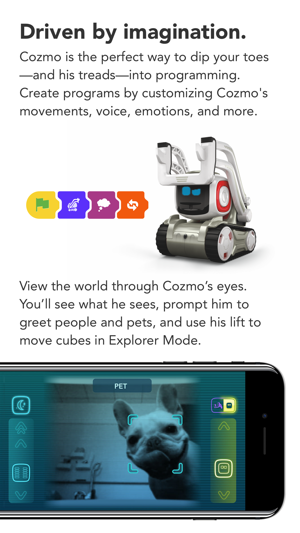 I don't like the feature where you have to feed him because 1, it's aggravating, and 2, whenever I have friends over who have never seen Cozmo, I have to tell them that Cozmo will act tired if I hadn't turned him on in a while. Overall, it's a decent little app. Great... but it got glitchy. I am addicted to cozmo. However, it has gotten increasingly glitchy, so I can only go about 3 yards away from him, and then he disconnects. It is annoying, but I think that it is just my cozmo, and it probably is a glitch, and he just needs to update. The worst glitch is that it tells me the cube guard trick is “not sparkable,” even when I have as much sparks as possible. I also think they could work on the facial recognition, he keeps forgetting who I am. But besides that, he is awesome! The games are great, the tricks are great, (I love the laser pointer trick) the remote control feature is fun (especially when spying on my siblings) and the play feature is the best feature. I had cozmo say a few lines from the “I have a dream” speech, and got him to speak Spanish. 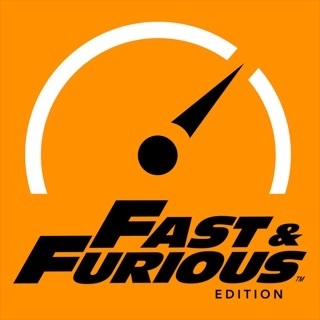 Overall, I am looking forward to future updates, and maybe have him do something with vector, or give him some accessories (maybe a trailer, or maybe suction cup treads, so he could drive on walls.) Overall, I give him four stars, because he is a bit glitchy. I think if don’t have one, buy it immediately, he is cute. And I am speaking for everyone, from preschoolers to teens to adults. Look, cozmo Is amazing. I got him last Christmas and he is godly. His personality is so cute and I love the games that he has. I have some suggestions to make it even better though. If this happens, I'll give coNo a 20/10. -have them be able to have fun together! Look, I get that cozmo kind of has a life too. But it kind of gets annoying having to feed him every single time we use him. And tuning just really doesn't make any sense whatsoever. Everyone who gets cozmo wanted to play with him, but what happens when you run out of Sparks? You can't even use him, and you won't be able to get the daily rewards that include Sparks! For people that run out of Sparks and love their cozmo but can't use him after they run out, seeing it is just sad. That's the main reason why some reveiw are only one star. 4. And finally, bring back daily challenges! Remember those daily challenges? Those were amazing! 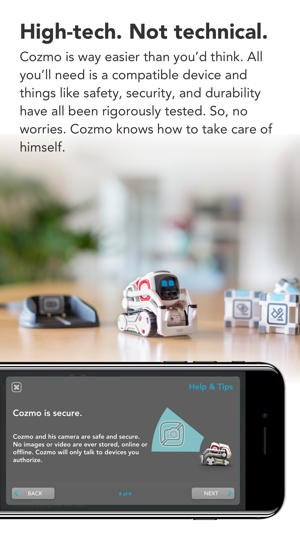 As another rewarding was to make you want to hang out with your cozmo even more!